Though it’s tempting to project a certain amount of intent onto the whale as it swims, gaping maw and all, toward the baby, this is more likely just a matter of great photographic timing (or a smart use of Burst mode on the camera). 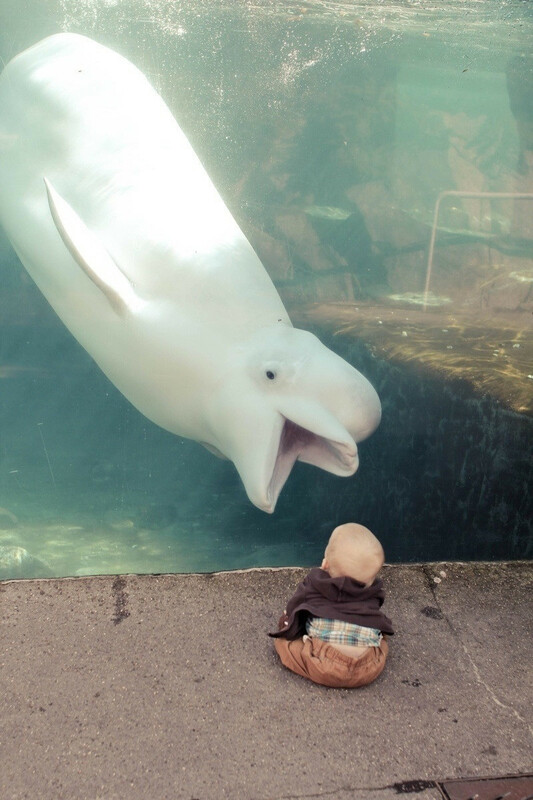 Belugas mainly eat fish and invertebrates, and in captivity they consume 2.5 – 3% of their 3,000 lbs. of body weight per day. With apologies to Jonathan Swift, this little guy would be a very modest proposal, indeed. This is Juno, and he loves to do this to kids! He loves attention and is the subject in many family photos!